Medea Benjamin, CODEPINK co-founder, discusses why there should be a new policy on Israel and how CODEPINK are traveling to Gaza to help end the war among Israel and Gaza. Cost: $600 from Cairo, includes transportation, lodging, translation, program, some meals and contribution to local groups. Scholarships available. Program: Meetings with UN and government officials, local women (including victims of Israeli violence), humanitarian/development agencies, journalists, health workers and political analysts. Visit areas devastated by Israeli attacks. Purpose of the trip: Provide humanitarian and emotional support to women and women's organizations in Gaza; Exert pressure on US, Egyptian and Israeli governments to lift the blockade and promote peace/human rights in the region. Organizers: The trip is organized by CODEPINK: Women for Peace and will be led by CODEPINK cofounders Medea Benjamin and Jodie Evans. Sponsoring groups include National Congress of Black Women, Global Exchange, Voices for Creative Nonviolence, American Muslim Voice and Women's Intercultural Network. 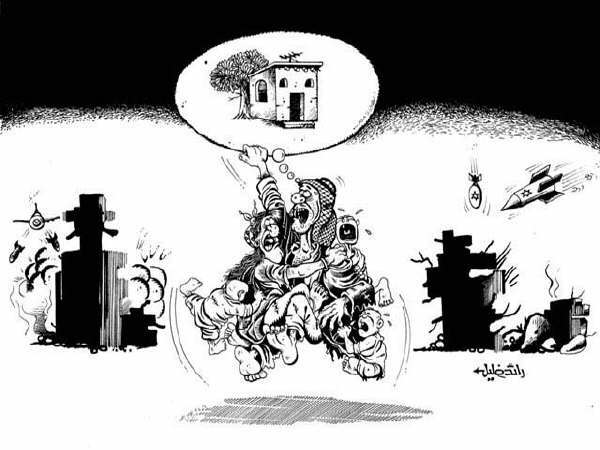 Background: Palestinian women in Gaza have been devastated. We have seen the agonizing pictures of wailing women digging through the rubble of their destroyed homes to look for their buried children. We heard the stories of the dead mothers whose emaciated children were found hanging onto their bodies for days until reached by aid workers. Women now have to care for the physical and emotional wounds in their families and communities, while dealing with their own broken hearts. They have to attend to the physical needs of their families in the face of shortages of water, electricity, food, medicine, heat, fuel, and shelter. Some neighborhoods have been almost totally destroyed, with over 100,000 people displaced from their homes. According to the United Nations, "Children are hungry, cold, without electricity and running water, and above all, they're terrified. Women are at greater risk of maternal death and or injury as maternity wards are being used as surgical facilities to treat the wounded." There are huge medical needs. Twenty-one medical facilities were damaged during the fighting, and there are severe shortages of emergency supplies, including sterilization equipment, needles, anesthetics, catheters, oxygen and essential medications. The UN says that hundreds of millions of dollars in humanitarian aid are needed to help Gaza's 1.4 million people and billions of dollars will be required to rebuild its shattered buildings and infrastructure. "In June 2008 an FBU delegation to Palestine met with firefighters an discovered the difficulties they face under the illegal Israeli occupation." "Focus on Gaza offers a rare look at what life is like for ordinary people inside the Gaza Strip. In this episode: It has been two months since Israel's war on Gaza began with a devastating air strike on a police academy. Lauren Taylor reports from Gaza on the impact of that strike on the affected families and on the job of policing itself. Also, host Imran Garda talks to Usama Hamdan, a senior Hamas official, about attempts at Palestinian reconciliation. And, in the first of our weekly glimpses into family life in Gaza, we catch up with the incredible story of the Samouni children." "A short clip on the fourth anniversary of the Nonviolent Struggle in the village of Bil'in, north of Ramallah. The clip features one of the leaders of the nonviolent struggle in the village that has been resisting the illegal construction of the wall and settlements on their land." "In this episode of Empire, Marwan Bishara, Al Jazeera's senior political analyst, and his guests zero in on the special relationship between the US and Israel. They explore who benefits from the special relationship and whether the status quo will prevail." "Last week student activists at NYU occupied the Kimmel Center for more than 40 hours demanding, in part, that the University send aid to help rebuild the University of Gaza and increase the number of scholarships for Palestinian students. Inspired by students at the University of Rochester who pushed the administration there to provide relief and aid to the University of Gaza and to provide students from Gaza with scholarships, Hampshire College, which recently agreed to divest from companies that do business with Israel, and a series of occupations at Universities in Great Britain, members of Take Back NYU! were also demanding public release of NYU?s budget and endowment figures and student representation on the board of trustees. 18 of the students who remained in the KimmelCenter through Friday have been suspended and their student housing revoked. The University refused to meet any of the demands and the students face disciplinary action and possible expulsion." Labels: Palestine, Palestine Video, Palestinian, Solidarity, U.S.
Joel Kovel, a long-time professor at BardCollege and the author of Overcoming Zionism was recently terminated from his post, he says, for his views on Zionism. Bard has denied the accusation and says that Kovel was not fired but relieved for financial reasons. You can learn more about the case here. "A 99-year-old Palestinian man is recovering in hospital after being attacked by Israeli army dogs. The pensioner's ear and shoulder were bitten as he lay in bed when soldiers conducted a house search." Khoza'a, Khan Younis , Gaza Strip: Palestinian farmers, accompanied by international Human Rights Workers (HRWs), were fired upon by Israeli forces in the village of Khozaa, near Khan Younis, this morning. The farmers and HRWs were attempting to work on land around 300m from the Green Line. Four Palestinian farmers have been shot by Israeli forces while working within 700m of the Green Line since the 27th January 2009. On the 18th February, farm worker Mohammad Il Ibrahim, 20, was shot in the right leg as farmers, together with the international Human Rights Workers, attempted to leave the area having worked on their land for 2 hours in full view of the Israeli forces. On the 18th January, Maher Abu-Rajileh (24) from Khozaa village, was killed by Israeli soldiers while working on his land 400m from the Green Line. On the 20th January, Israeli soldiers shot Waleed al-Astal (42) of Al Qarara (near Khan Younis) in his right foot, while on the 27th January, Anwar al-Buraim was shot in the neck and killed. Later on the sameday that this video was filmed, the Israeli Soldiers shot 17 year old Wafa Al Najar from Khoz'a. Wafa was 70 metres from her home, and and 800 metres from the border fence. were 3 shots, a neighbour who was 900 metres away says they were fired from two army jeeps and he saw a soldier shooting from the top of one. The first two bullets hit the ground beside Wafa. The third destroyed her kneecap, and she collapsed to the ground. "The Israeli-Arab town of Umm al-Fahm is at the centre of a struggle between Israel's far right and its Arab minority. Local politicians say the rise of anti-Arab sentiment is a threat to the whole country"
"Beni Raz is not a typical settler - he wants to leave, and has founded a movement to make it easier. But this has made him a pariah in his community"
"The UN security council is being urged to impose an immediate arms embargo on Israel and armed Palestinian factions like Hamas. Amnesty International is calling for the weapons blockade, after an investigation into the war on Gaza concluded both sides may be guilty of commiting war crimes. Israel and Hamas are accused of deliberately putting civilians at risk. But as Jacky Rowland explains, neither side is prepared to accept Amnesty's report"
Israel has ordered hundreds of Palestinians to leave their homes in annexed east Jerusalem, warning their houses are illegal, officials and residents said today. "The owners of 80 houses in the al-Bustan neighbourhood have received eviction notices saying that the structures will be destroyed because they are illegal although they were were built before 1967, when Israel captured east Jerusalem during the Six Day War. "Inside Story looks at the eviction of 1500 Palestinians from East Jerusalem and the prospect for peace under Netanyahu's leadership." Caption says: "Bilin village was invaded yesterday and last night by the israeli army ." "Aid agencies say the psychological effects of the Israeli offensive on Gaza have been heavy, particularly on children. Al Jazeera's Jonah Hull talks to one nine year old boy about his experiences and how he is dealing with them now"
"The release of one Israeli soldier will decide the fate of a long term ceasefire between Israel and Hamas. The deal, brokered by Egypt, was expected to be signed this week. But on Wednesday, Israel's security cabinet decided that there will be no truce in Gaza until Corporal Gilad Shalit is freed. 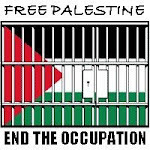 In exchange of Shalit, Hamas wants the freedom of several hundred Palestinian prisoners in Israeli custody. Till Wednesday, the truce and the prisoner swap were being negotiated independently. Amos Gilad, the Israeli negotiator with Cairo has lashed out on prime minister Olmert for linking the release of Shalit to the truce deal. Egyptian mediators have said they are angry that Israel changed its stance just as an agreement was about to be approved. How can the latest move by the Israeli cabinet be interpreted? Does the sudden shift in the Israeli position risk causing tension with Cairo? Is the current government hoping to roll the whole issue to the next government? Would Netanyahu be better equipped to deal with the issue? And why has Shalit's release become a headline while 11 thousand Palestinian prisoners held in Israeli jails are hardly mentioned anywhere? Are they worth less? Inside Story presenter Imran Garda is joind by Khaleda Jarar, director of Addameer, a prisoners' support and human rights association; Ghassan Al-Khatib, a political analyst, and vice-president of Bir Zeit university; and Efraim Inbar, a politics professor at Bar-Ilan university and the director of Begin-Sadat centre for strategic studies (BESA)." After long delays at the border, our convoy has been greeted by thousands of Algerians from the border town of Maghnia. It is not known as to the reason for the delay,but I am told that the passport checks were done at a leisurly pace in an atmosphere of friendship and brotherhood (with brass bands playing on both sides of the border). As I am writing,they are filling up their vehicles with fuel on the house, courtesy of Algeria just outside Maghnia. Concerns grow over Netanyahu's rise - 21 Feb 09: "Benyamin Netanyahu has been asked to form a government in Israel. He lists Iran as the biggest threat to Israel. His tough stand on Hamas might also complicate peace negotiations with Palestinians. Al Jazeera's Clayton Swisher reports on why the US may find it difficult brokering Middle East peace with Netanyahu as the Israeli PM." Israeli forces shot a twenty year-old Palestinian farmer as he worked his land in the village of Al-Faraheen, east of Khan Younis in the Gaza Strip. International Human Rights Activists were accompanying the group of farmers at the time as they worked approximately 500m from the Green Line. Mohammad al - Breem, 20, was shot in the right leg as the farmers, together with the international Human Rights Activists, attempted to leave the area having worked on their land for 2 hours in full view of the Israeli forces situated along the Green Line. As the farmers were loading up the parsley and spinach from the agricultural lands shots were fired from Israeli forces on the border. Mohammad was shot in the right leg and evacuated, while still under fire, to hospital. International Human Rights Activists have repeatedly witnessed Palestinian farmers being shot at by Israeli forces as they attempt to work on agricultural land situated within 700m of the Green Line. On Tuesday 27th January 2009, in Al Faraheen, Israeli forces shot at several farmers, killing a 27 year old farmer. The residents of Bil’in gathered after Friday prayer to mark the fourth anniversary of their struggle against the Apartheid wall and the expansion of Jewish Settlements. "Over 380 academics and others have signed letters to the Science Museum in Kensington and to Manchester s Museum of Science and Industry demanding that they cancel their Israel Days of Science planned for March. The letters, delivered today, were organised by the British Committee for the Universities of Palestine (BRICUP). The all day events are due to be held in Manchester on March 3 and London on March 5. The letter points out that they are both sponsored by the Zionist Federation of Great Britain, noted for its unswerving support for Israel s illegal occupation of Palestinian territories. Press TV's Uzma Hussain reports." "Human rights investigators continue to look into allegations that Israeli soldiers may have committed crimes of war during their Gaza military campaign. Ayman Mohyeldin speaks with village residents who tell the story of a Gazan woman who was killed with a single shot to the head while waving a white flag as she led children to safety." "Israeli photographer and activist, Shachaf Polakow, provides photos and vivid discriptions of the work of Anarchists Against the Wall, an Israeli organization working in solidarity with Palestinians to oppose the Apartheid Separation Wall and to bring an end to the Israeli occupation." When I first visited the Palestinian territories, I was afraid I would have to hide my identity as an American and possibly wear a headscarf. To my surprise, I was warmly welcomed exactly as I was, and after more than two years living and working there, it remains one of my favorite spots on earth. The people are charming and generous, the landscape is gorgeous, and the parties, concerts, and beer gardens in Ramallah are world-class. But behind all this looms the conflict, the occupation, and violence. Since September 2000, more than 5,500 Palestinians and 1,100 Israelis have been killed. A series of walls, fences, roadblocks, checkpoints, army bases, and settlements keep the Palestinians in the West Bank under an almost constant state of siege and strangle the economy of many towns and villages, including Bethlehem. Gaza has been turned into an open-air prison whose desperate inmates can only get vital supplies through smuggling tunnels -- which also transport weapons that Palestinian militants use to target Israeli civilians. Using photographs, stories, and statistics, this presentation colors in the Palestinian experience, with all its complexity and contradictions, as it is rarely shown on the news or in books. It is a fascinating world of beauty and terror, of hospitality and homicide, of the absurd and the sublime constantly together -- a microcosmic view of a little-understood human story with global implications. Pamela Olson graduated from Stanford in 2002 with a major in physics. She lived in Ramallah, West Bank, for a year and a half beginning in the summer of 2004 and worked as a journalist for the Palestine Monitor. She interviewed the first elected female mayor in the West Bank, witnessed the 2005 Disengagement from inside the Gaza Strip, and served as the foreign press coordinator for Dr. Mustafa Barghouthi's Presidential campaign against Mahmoud Abbas in January 2005. She later worked for a year at the Institute for Defense Analyses in Washington, DC. She is now writing a book about her time in the West Bank called Fast Times in Palestine." The bulk of the convoy is now in Fes, in Morocco. They expect to spend today there recovering - and a well deserved rest it will be - and waiting for delayed vehicles to catch up. Some broken down vehicles are now back on the road in Spain. The three men held on Friday 13th on the M65 alongside the brothers from Blackburn have now been released with no charges against them. "On Saturday 14th February, 23 year-old Rafiq abu Reala was shot by Israeli naval forces whilst fishing in Gazan territorial waters, approximately two nautical miles out from the port of Gaza city. He was in a simple fishing vessel, not much larger than a rowing boat, with a small outboard engine, known locally as a 'hassaka'. An M-16 assault rifle was fired hitting him twice with explosive dum-dum bullets, which peppered his back with shrapnel from the bullets themselves. "Israeli navy gun boats fire at several Palestinian fishing boats which are only 3km west of the port in Gaza City. One of the fishermen - Rafik Abu Rayala is badly injured." "Why Palestine? It’s hard to overstate the significance of Israel/Palestine to global politics. Some say that Barack Obama’s success or failure will be judged on whether a resolution to the conflict is reached during his presidency. For others the issue has deep moral resonance. As an indication of the fault lines in America, Hampshire College’s recent decision to divest from companies that do business with Israel has been both repudiated and celebrated as a major breakthrough. Ali Abunimah, editor and founder of The Electronic Intifada says that Palestine matters precisely because it is the site of the last Western colonial project in the Third World and that opposition to Israel is also opposition to US hegemony in the region. Abunimah, Brian Van Slyke of Hampshire College’s Students for Justice in Palestine, Kanwal-Shazia Chaudhry a Doctor in Brooklyn who recently traveled to Gaza with the American Medical Mission to Gaza, and Hannah Mermelstein, co-founder of Birthright Unplugged take on the question of why Palestine matters." "The relationship between Jordans Muslim Brotherhood and the government was seriously tested during the war on Gaza. Although anti-Israel protests sponsored by the group were tolerated, restrictions were re-imposed on some of the Brotherhood's activities. Al Jazeera's Nisreen el-Shamayleh reports from Jordan." "A damage assessment, conducted by the United Nations, estimates that over 14,000 homes have been totally or partially damaged during the three weeks of Israeli military operation inside Gaza." "Kenneth Roth, executive director at Human Rights Watch, addresses criticism of Human Rights Watch's reporting on the Israeli-Palestinian conflict." "Feb 16 - Destitute Gazans attempt to pick up the pieces at a tent city formed in the aftermath of the war in Gaza. Thousands of Palestinians lacking the means to rebuild their homes have sought refuge in a tent city in northern Gaza. In this makeshift community set up by aid agencies, residents have to make do with the most basic necessities. 'She turned to the child. 'Dudu, I've told you a thousand times that you should only point guns at Arabs....!" "The Palestinian Authority is calling for an international investigation of the weapons used by Israel during its three-week assault on Gaza. There are claims so-called DIME bombs were dropped from drone aircraft. This kind of bomb is designed to produce an intense explosion in a small space." Dense Inert Metal Explosive (DIME), also called a dime bomb, is an experimental type of explosive that has a relatively small but effective blast radius. It is manufactured by producing a homogeneous mixture of a high explosive material (such as HMX (High Melting Explosive) or RDX (Cyclotrimethylenetrinitramine) and small particles of a chemically inert material such as tungsten. It is intended to limit the distance at which the explosion causes damage, to avoid collateral damage in warfare. "Aftershocks of the war on Gaza signal a possible rift between Israel and Turkey. Inside Story asks: has their relationship reached an unprecedented low and possibly a point of no return?" "16th of Feb 2009 Ni'lin, West bank. The village was invaded and a further construction site for the Apartheid Wall was initiated by the Israeli Army. On Friday midday, scores of villagers from Nil'in, located near the central West Bank city of Ramallah, held their weekly protest against the illegal Israeli wall being built on the village's land by Israel's settlement and annexation project. The activities began at a football tournament between 19 teams from various villages throughout the West Bank. the tournament was dedicated to Mahmoud Qassm and Arafat Al Khawaja, two boys who have been killed by the Israeli Army during Nil'in protests two months ago. At noon, the Palestinians and other demonstrators held Friday prayers near the village lands, and then proceeded to march to the land being confiscated by Israel. Demonstrators carried banners calling for national unity and demanded an end to the Israeli occupation. As soon as locals and their international supporters arrived to the village where Israel is building the wall, soldiers showered them with tear gas and rubber-coated steel bullets. Fifteen were treated for gas inhalation, three journalists were among the injured. Witnesses in the village added that soldiers shot tear gas inside three homes in the village. "A cross-party delegation comprising 6 British MPs and members of the Britain-Palestine All Party Parliamentary Group were granted entry into Gaza by the Israeli military. The MPs say they want to see the sites damaged during the Israeli war ,directly talk to people affected and hope to visit international aid operations, including UN-run facilities." "As well as the 1300 Palestinians who were killed in the war, thousands more suffered serious injuries. Al Jazeera's Hoda Abdel Hamid reports from the burns unit in Gaza's Shifa hospital." US activists urge boycott of Israeli companies - 15 Feb 09: "International outrage at the war on Gaza has triggered calls to boycott, divest and sanction Israel. Al Jazeera's Josh Rushing reports from New York city." "Update from France by PressTv Correspondent"
Fareed hosts a panel of Palestinian and Israeli pundits examining the implications of this week's elections." "On December 27, 2008, Israel's already crippling siege on the neighbouring Gaza Strip escalated into a brutal war. Al Jazeera was the only global news network reporting from both inside Gaza and Israel for the entirity of the conflict. Throughout Ayman Mohyeldin and Sherine Tadros brought news of the human tragedy unfolding to living rooms throughout the English speaking world. They found themselves as vulnerable as the civilians of Gaza and now they give their full accounts of what it was really like to report that war." "Israeli Occupation Forces (IOF) Invade Jayyus and attack residents and Internationals, Feb 13th 2009." "Following Israel's war on Gaza, many women are struggling to come to terms with the deaths of their husbands and children. Al Jazeera's Mike Kirsch hears their stories of survival, and reports on the challenges they face as they try to rebuild their lives." The Israeli military continues its attack on Palestinian civilians and human rights workers in the Gaza Strip. On Tuesday 27th January 2009, in Abassan, Israeli forces shot at several farmers, killing one. 27 year old Anwar was working picking parsley and spinach in the village agricultural lands, approximately 700 m from the Green Line, when Israeli jeeps opened fire with machine guns from behind the Green Line shooting more than 30 bullets in quick succession, eyewitnesses reported. Many of the seven farmers working in the area scattered, taking shelter from the shower of bullets. Anwar, however, was shot in the neck, dying instantly. Human rights workers have been accompanying the farmers from Abassan in the wake of Anwars murder. The Israeli soldiers however continue to attack them, as can be seen in this video." Demonstration by village of Bil'in, on Friday February the 13th 2009, against the apartheid wall on their land"
The residents of Bil'in, near the central West Bank city of Ramallah, gathered again after the Friday prayers in a protest, joined by international and Israeli activists and groups. The protesters carried Palestinian flags and banners, calling for an end to the crimes against Palestinian civilians, an end to the siege on Gaza and a halt to settlement construction. The protest began at the village center and headed toward the annexation wall, which is being built on Bil'in's land. Protestors called for national unity and for resisting the occupation. An Israeli Army unit was situated behind the wall to prevent the crowd from going through the gate. When the demonstrators apporached the Israeli baracade, the Israeli Army fired tear gas canisters to disrupt the crowd, causing dozens to suffer gas inhalation. The popular Committee against the wall is still encouraging people to continue resisting the wall and the occupation, despite the results of the recent Israeli elections. All of the parties are "Zionists with colonialist goals" the popular Committee stated. The Popular Committee is inviting all Palestinians and solidarity groups to join a central protest next Friday, February 20th, marking the fourth anniversary of Bil'in's popular resistance against the Wall and settlement building. "The Viva Palestina aid convoy sets off from London bound for Gaza filled with aid." A convoy of more than 110 vehicles has snaked its way out of London for Gaza to deliver more than £1m worth of aid, including ambulances and a fire engine. A cyclist passes vehicles taking part in the Viva Palestine aid convoy, as they line up in Hyde Park, London. A huge convoy of over 110 vehicles will leave London today for Gaza, delivering more than #1 million worth of aid, including ambulances and a fire engine. The size of the convoy and the amount of aid it is carrying have exceeded the expectations of the organisers, grouped under the umbrella Viva Palestine and supported by many Muslim organisations as well as the Stop the War Coalition. See PA story POLITICS Gaza. The size of the convoy and the amount of aid it is carrying have exceeded the expectations of the organisers, grouped under the umbrella Viva Palestine and supported by many Muslim organisations as well as the Stop the War Coalition. The convoy will travel 5,000 miles through France, Spain, Morocco, Algeria, Tunisia, Libya and Egypt, crossing into Gaza at Rafah in early March. Hundreds of volunteers are driving the aid convoy, which includes 12 ambulances, a boat and trucks full of medicines, tools, clothes, blankets and shoe-boxes as well as gifts for children. Respect MP George Galloway, who will help to drive, said: "There is an intifada sweeping Britain. It is a massive and peaceful movement in support of the beleaguered population of Gaza and Palestine. "It is happening everywhere, but is especially strong in the north of England and especially among young Muslims. "This convoy is material manifestation of it. In barely a month, it has metamorphosed from an aspiration I threw out at the 100,000-strong pro-Palestine demonstration on January 10 to more than 100 vehicles and nearly 300 people from across Britain. "We will lead the biggest convoy of British vehicles across North Africa since Montgomery." The vehicles are heading to Ramsgate, Kent, where they will board a ferry to Ostend, Belgium. After arriving in Ostend the convoy will travel down to Bordeaux in south west France for their first major stop. Mr Galloway is expected to join up with the convoy frequently throughout the trip. 'WE ARE COMING'....TO SEE YOU SMILE"
"With so much of the mainstream media marginalized in Gaza the two sides in the conflict focused on online video and social media turning them into the new informational frontline. Which side used this new media more effectively and will it be the new weapon in future conflicts." "Egypt has been mediating between the Palestinian factions in Gaza, and the Israelis, since the end of the three week war. Now senior Hamas leaders tell Al Jazeera that a long-lasting truce is only days away. "Rev. Edwin Makue, General Secretary of the South African Council of Churches and Phyllis Bennis, Director of the New Internationalism Project at the Institute for Policy Studies on the Israeli siege of Gaza. Since the blockade began in 2006 it has become increasingly difficult for journalists and foreign aid workers to reach Gaza. According to Makue, who is on a speaking tour with the US Campaign to End the Israeli Occupation, there are many similarities in Israel's occupation and South African Apartheid. The controlled movement of people through check points and a strong Israeli police presence, the ongoing process of land alienation, and the psychological damage of a sixty year occupation have been labeled a form of Apartheid by many, including former US President Jimmy Carter. So why has it been so difficult to draw attention to and dismantle the Israeli occupation? According to Bennis, fear of being labeled an anti-semite and the equation of criticism of Israel with anti-semitism have made it an increasingly hostile environment for peace activists and critics of Israeli policy. Will that change under an Obama administration? Bennis says only if we the people make it happen." "While the gates remain closed, much needed aid is piling up on the Israeli side of the border. But they're also desperate for other every day items - and it's leading to a thriving black market. Al Jazeera's Mike Kirsch reports from Gaza city." "Christian Zionists believe that in order to fulfill Bibilcal prophecy, Israel must conquer most of the Middle East. They are a growing force in American politics with ties to many powerful pro-Israel groups in Washington. Once considered a marginal doctrine among evangelicals, the dispensationalist theology of Christian Zionism includes a belief in the rapture, when the faithful are to be lifted up to Heaven while the rest of humanity—including most of the Jews—will perish." Jesse Rosenfeld speaks to representatives of the Arab Israeli community about the 2009 Israeli elections"
"Israel is bracing itself for a series of war crimes cases in European courts against its politicians and soldiers. Several European countries exercise 'universal jurisdiction'. This means they reserve the right to pursue the most serious cases - such as torture or genocide - even if they do not involve their nationals or took place outside their borders. Spain is the latest country to investigate Israeli officials, as Roshan Muhammed Salih in Madrid reports." "Steve Clemons and Mustafa Barghouti discuss the recent Israeli elections and the massive shift in the Kinessit to heavily right-wing and nationalist parties and how this will affect the peace process and the Two-State Solution." "Israeli Navy fires at civilians"
"The leaders of Israels two main parties, Likud and Kadmia, have both claimed victory in an early general election. In a few minutes we'll turn to analysis of the election results but first we go to former US President Jimmy Carter. His latest book is We Can Have Peace in the Holy Land: A Plan that Will Work. President Carter says he wrote the book because President Obama is facing a major opportunity and responsibility to lead in ending conflict between Israel and its neighbors. President Carter writes: The time is now. peace is possible. "As the search for a truce goes on, can the Kadima party tip the balance in its favour with an 11th hour deal?" Palestinians sceptical of Israel vote's impact - 10 Feb 08: "Palestinians in the West Bank and Gaza are directly affected by the outcome of the elections. But there seems to be little interest in the debate or outcome. That's because many Palestinians believe the vote will not change their life under Israeli occupation. From Ramallah, Nour Odeh reports." "United Nations, 9 February 2009 - Ms. Radhika Coomaraswamy, UN Special Representative for Children and Armed Conflict has just returned from a tour of Gaza, the West Bank and southern Israel. She describes the anger and despair she encountered, stressing that an international enquiry and accountability were crucial for channelling these emotions away from violence. Summarizing her conclusions she said: Israel, I demand, please open the crossings at Karni and Sufa, and expand the list of articles that can be admitted into Gaza As regard to Hamas, I demand that they stop the rocket fire that falls indiscriminately, and also that they respect the integrity of international aid and not allow it to be diverted. "While Israel is going to the polls, the story of how their army conducted its war on Gaza is slowly being pieced together. Hoda Abdel Hamid reports from Gaza." "As soon as Israel concluded its military campaign in Gaza, the country launched itself into a different campaign for elections. Inevitably, the war has featured highly in that political campaign, with many parties competing for the security vote. Israel as a nation has shifted to the right. People are disillusioned with a peace process that appears to be going nowhere." "GAZA – Foreigners, who live in Gaza, said on Saturday that the Israeli attack, which was launched on Dec. 27 on Gaza, was targeting civilians. Ewa Jasiewicz, who works for Palestinian Red Crescent as a volunteer, stressed that Israeli forces in Gaza committed war crimes during the three-week conflict. “In my opinion, the Israeli occupation forces did deliberately target the civilians. I believe that they (Israeli forces) are guilty of possible war crimes in terms of extrajudicial killings.”"